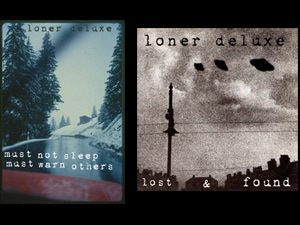 Rusted Rail is pleased to announce the release of "Songs I Taped Off The Radio", the second album by Galway-based Loner Deluxe. This cassette album lives up to its title in that it plays like a mixtape curated by the artist himself, taking in his many musical moods. The album dips its toes into a wide pool of touchstones and influences, from UFOlk to heat-haze beach pop, by way of lonesome lunar folk, library music, cosmic electronica and spooky sci-fi sounds, as seasonally-affected melodies shift and shimmer with the passing of one season to another. Opening track "Winters Last Fire" had the honour of being included on Volume 7 of An Taobh Tuathail compiled by taste-making broadcaster Cian O Ciobhain, nestled alongside such artists as Sufjan Stevens, Colleen and Nils Frahm. 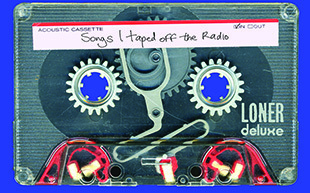 Featuring contributions from fellow Rusted Rail recording artists, "Songs I Taped Off The Radio2 finds Loner Deluxe at the peak of his powers with guest appearances from members of A Lilac Decline, The Driftwood Manor, Music For Dead Birds, Phantom Dog Beneath The Moon, and So Cow, among others. Initial orders of this technicolour tape will come with a piece of one of Loner Deluxe's beloved plaid shirts tucked into the cassette packaging: Loner Deluxe is literally giving you the shirt off his back. "Must Not Sleep Must Warn Others" was originally released on the Toyko-based Duotone label and has now returned home via Rusted Rail, bringing some old friends with it in the shape of a bonus 3" disc of previously unreleased material called "Lost & Found". The seasonal atmospherics of "Must Not Sleep..." leans heavily on frosted melodies and evocative acoustica woven into mellow, meditative and minimalist music, while the additional disc "Lost & Found" veers from gentle tone poems to ethereal folkways and dreamlike sonics. This double 3 inch hand stamped release is housed in handmade mini-gatefold sleeve. Loner Deluxe is fond of electrickery. 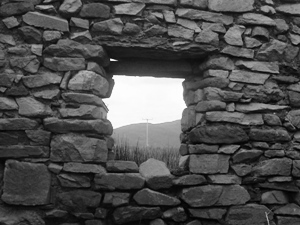 "The Plinth Tapes" is a coastal collaboration, from the southern coast of England to the western shores of Ireland. The original source material was recorded in Dorset by Plinth and mailed to Loner Deluxe for collaging and beat generation. In redesigning the tunes, making new music from previously existing tracks, overdubbing new instruments and adding loops and found sounds, Loner Deluxe recast the fragments. Folkish instrumentalities are beaten up and spaced out and although (re)created in the world of binary "The Plinth Tapes" retain an organic flavour: melodic and warm, this 3inch disc resides in a handmade sleeve. Video for "Summer Song" by Loner Deluxe.